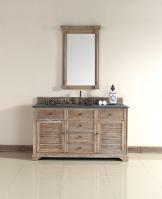 With elegant styling and wonderful storage space, this single sink vanity brings so much to the bathroom. 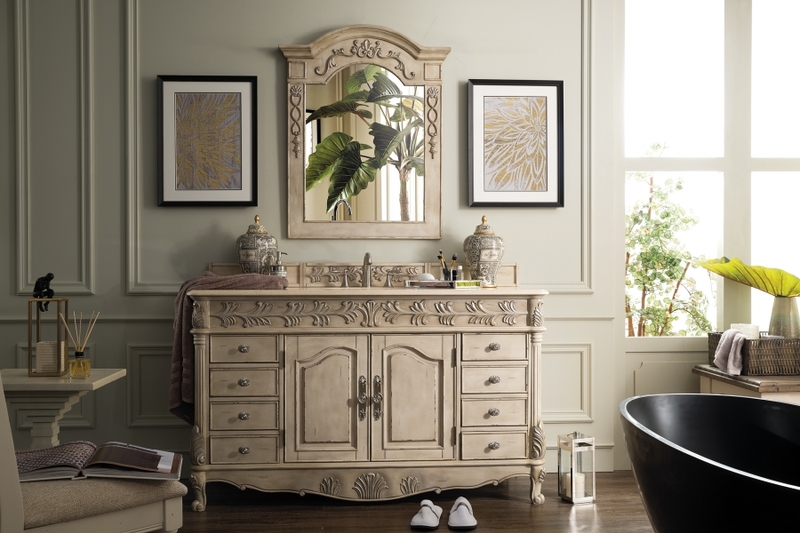 The flowing lines and ornate touches are pleasing to the eye, while the double door cabinet and eight drawers provide room to keep bathroom essentials neatly out of sight. The empire linen finish of the base will go well with any existing color scheme. The piece sits elegantly above the floor on carved feet. 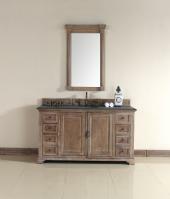 The marble counter top is a very good size and makes getting ready in the morning so much easier. The sink is made of white ceramic and is an under mount type.